An Uber driver has been charged with impaired driving, after being stopped with a passenger on board. On New Year’s Eve, York Regional Police arrested an Uber driver on suspicion of impaired driving. Dennis Romanin, 55, of Whitchurch-Stouffville, was charged with the impaired operation and a blood alcohol concentration of 80 milligrams per 100 milliliters of blood. Uber said Romanin was not using the ridesharing app at the time of the arrest but access to the platform was revoked. An Uber driver has been charged with impaired driving, after being stopped with a passenger on board. Toronto police say a 48-year-old man was pulled over around 1:30 p.m. on Wednesday near King St. W. and Portland St. for a traffic violation. The officer detected alcohol on the driver’s breath and administered a breathalyzer test. Police say the driver blew 2.5 times the legal limit. He was arrested and charged with impaired driving in addition to a Highway Traffic Act offense. 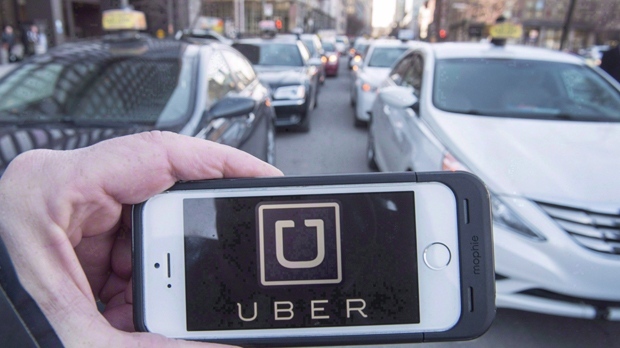 Uber told CTV Toronto that the driver’s access to the ride-sharing platform was removed immediately after the company learned of the charges. “We've spoken with the Toronto Police Service and will provide any information to them that would be helpful in their investigation,” Uber spokesperson Kayla Whaling said. The driver could face a one-year license suspension and a $2,000 fine if convicted. He will appear in court on March 15. On New Year’s Eve, York Regional Police arrested an Uber driver on suspicion of impaired driving. Dennis Romanin, 55, of Whitchurch-Stouffville, was charged with impaired operation and a blood alcohol concentration of 80 milligrams per 100 millilitres of blood. Uber said Romanin was not using the ridesharing app at the time of the arrest but access to the platform was revoked.